I started this doodle at the doctor’s office. I waited a while. 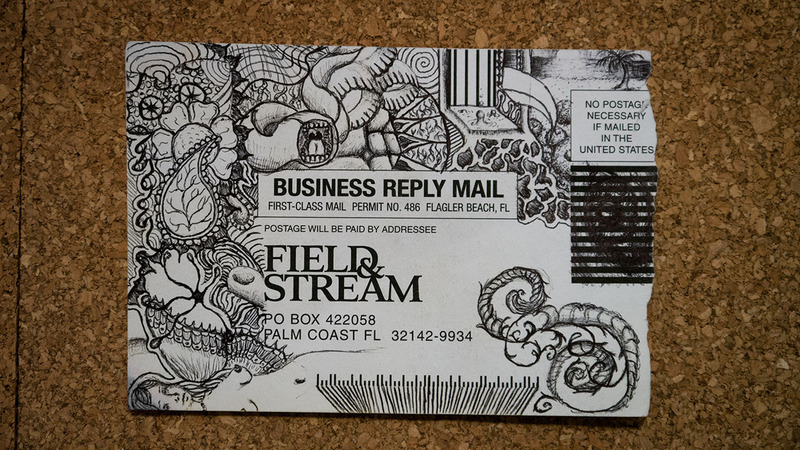 So I took out a Business Reply Mail from a Field and Stream magazine and just started down the doodle rabbit hole. I wasn’t quite finished with it by the time I was called. I took it home and added a couple of things later on.